Use our app to find nearby Doblet-carrying venues and pick the one you like best. If you don't see one of your favorite places on the map, just request it. Step 3. Plug in and get juiced! Ask your bartender or waiter for a Doblet. Plug it into your phone and use it for a single charge or opt in for unlimited membership. You can keep using your phone as it charges - while you're at it, why not order a drink? Get a charger by asking staff? 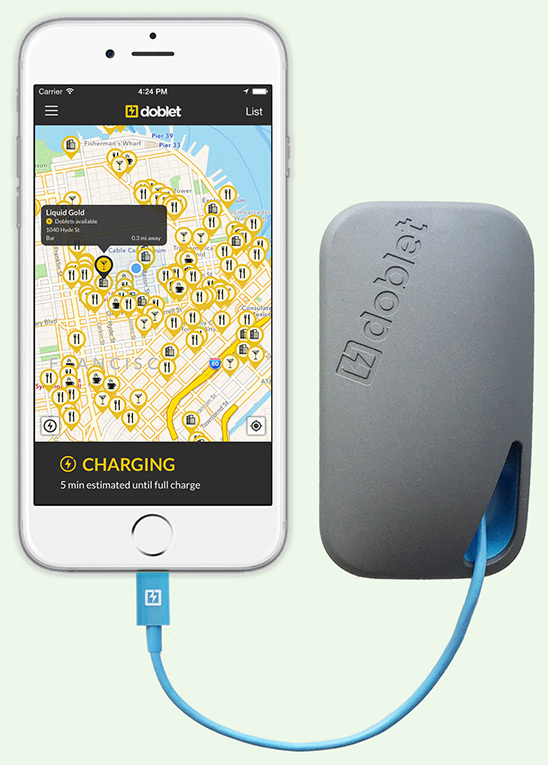 Get a charger from a kiosk? Have chargers available in bars? 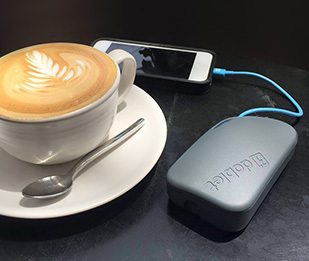 Have chargers available in coffee shops? Have chargers available in restaurants? Have chargers available in airports?